After studying at the IUT Book Trade in Aix-en-Provence, Laurence Hugues went to earn a bachelor’s degree in Literature at Trois-Rivières University in Québec, and later a Masters’ degree in Book Marketing at Paris 13-Villetaneuse University. 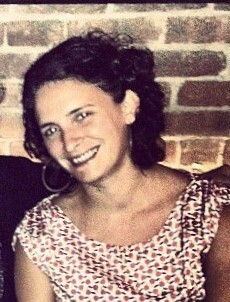 After several professionals stays in West Africa, she joined the International Alliance of independent publishers’ team in 2007. In July 2009, Etienne GALLIAND passed on management responsabilities to Laurence HUGUES. After geography studies, Clémence completed a specialised Master’s Degree in Book Publishing. Her posts in publishing houses including Autrement, La Découverte, and Phaidon allowed her to acquire skills in several areas, such as the humanities, young adult literature, and artistic books. 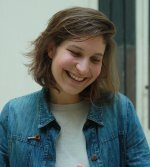 In 2010, Clémence joined the team of the Alliance, where she is especially in charge of maintaining and supporting the French-language network and the children’s book working group ; and coordinating fair publishing partnerships. From 2002 to 2009, Étienne GALLIAND (founder of the Alliance) managed the association. He then created Double Ponctuation, with which the Alliance regularly collaborates. Double Ponctuation is, among other things, copublisher of the Bibliodiversity journal. Alexandre TIPHAGNE joined the Alliance from 2002 to 2007, as manager of co-editions and the Portuguese and Spanish languages networks. From December 2012 to April 2014, Alexandre was vice-chair of Cabinet in the Ministry of Culture and Communication and technical councillor responsible of the book, and later chair of Cabinet. Formerly a parliamentary collaborator of Aurélie Filippetti at the National Assembly, he is currently in charge of Culture at Paris City Council. Thomas WEISS worked for the Alliance between 2003 and 2006 as a logistician, administrator and Webmaster. He also coordinated co-publishing projects of the English and Arabic languages networks. In 2007, he became an independent consultant and web developer, and worked principally for the Charles Léopold Mayer Foundation, Exemole Sarl, and the Research Institute, and contributed to discussions on governance. In 2013, he joined the French IT group, Netapsys Conseil, as central director. He is currently a consultant at OCTO Technology. 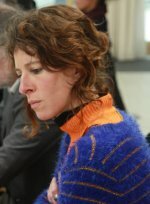 Between 2008 and 2010, Nathalie CARRÉ contributed her expertise to “Terres solidaires” and “Terres d’écritures”, both solidary copublishings collections. Nathalie continued facilitating the reading committee of the “Terres solidaires” collection. She is currently a Swahili teacher at Inalco. Sonbol REGNAULT-BAHMANYAR contributed to the Alliance between 2010 to 2012, by developing the Persian language publishers group. Sonbol is currently in Iran, where she runs a French pastry shop. Volunteers come from time to time to support the permanent team of the Alliance for the implementation of the action plan of the association : we thank them very much for their involvement and their commitment ! 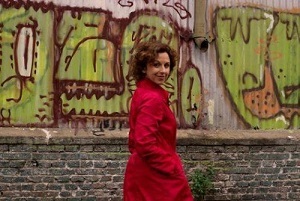 Céline Anfossi is specialised in project management and consultancy. She has worked in the book sector, mainly in coaching professionals (International Alliance of independent publishers, Fill-Interregional Federation of Books and Reading). She explores these issues through different projects and audiences (women seeking employment, students) and is particularly interested in the topic of professional integration. Born in Tahiti, of Franco-Guinean parents, Djamilatou continued her studies in Paris in Lettres et Histoire (MA dissertation on Ancient History : “Patrons of cities in Roman Africa from the third to the fifth century : an epigraphic study”). In the long term, Jamilatou would like to specialise in the protection and enhancement of heritage by working with different cultural organisations here or elsewhere. Following a five-month internship at the Alliance (development of the 2018 WomenList and the HotList presented at the Frankfurt Book Fair, and the study on the textbook market in French-speaking Africa), Djamilatou is now a volunteer of the Association.